The 8000 — efficient, responsive and fresh out of St. Cloud, Minnesota. This 2-stroke engine features noticeably faster throttle response and acceleration compared with our previous 8000, plus up to 30% reduction in oil consumption below 7000 rpm, 36% increase in low-end torque and 18% increase in midrange torque. 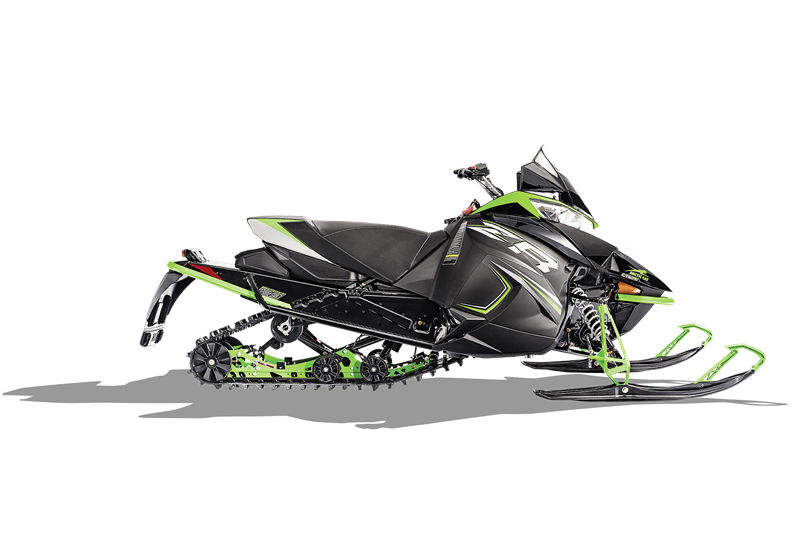 Delivering a rare combination of increased power, reduced emissions and ultra-low oil consumption, the overall crispness sets new standards for performance and rideability in the 160-HP class. The Arctic Race front suspension’s geometry was developed through racing. Our unique wide A-arm spacing complements the chassis design, which allows us to maintain a tighter suspension. Hydraulic twin tube shocks provide the dampening to smooth out the whoops and bumps. The SLIDE-ACTION Rear Suspension™ brings race-day technology to everyday riding. Our U-shaped slot fits over a fixed shaft to allow a crucial half-inch of sliding movement. As the rear transfer blocks are engaged, the free-acting front arm follows the terrain, keeping your skis firmly planted over bumps and during aggressive cornering and acceleration. This significant detail controls ski lift during acceleration. Arctic Cat® hydraulic twin tube shocks smooth out the chatter, mile after mile, for an even more comfortable ride. All the information. All at your fingertips. There’s an odometer, trip meter, speedometer, engine hour, clock, fuel level indicator, reverse and warning lights, keeping you in tune with your machine. Our easily adjustable handlebar allows you to set the perfect position for riding comfort.